To grow Scouting, consider looking in communities where Scouting hasn’t yet flourished. That’s a skill Brian Collins has perfected. By tapping into underserved markets, this assistant Scoutmaster and district commissioner in the Central Florida Council has started new Scouting units in unexpected places. New packs, troops, teams, posts, ships and crews enrich communities that need Scouting most — including areas with diverse races, religions and cultures. In his day job, Collins creates marketing strategies and builds new partnerships. In his Scouting job? It’s a lot of the same. “I decided to focus on using my professional expertise to identify and cultivate new units by looking at where there might be untapped opportunities — what you might call ‘niche’ or ‘underserved’ markets,” Collins says. So far it’s working, and Collins’ professional counterpart — Sand Lake District Executive Richard Fallon — has been impressed. So what can Collins teach us? He shares his five tips below. 1. Be open-minded and creative. When looking for opportunities, start by brainstorming as many types of specialized markets or groups you can think of. “Think of how markets can be segmented in a variety of ways; groups that have their own specific cultural identity related to nationality, ethnicity, religion, social class, generation, locality … or any other social group that has its own distinct culture which may reside within your district or council,” Collins says. Expect the formation and chartering process to take longer than expected. Patience is essential. Collins says niche markets are typically very open, welcoming and appreciative, but they often aren’t familiar with Scouting or misunderstand its methods. Before approaching a potential chartered organization representative, you must have a basic understanding of the culture. It is critical to understand communication styles and cultural hierarchies. “Certainly, much of this will be learned on the job, and it is OK of you make a few small gaffes along the way, but try to do as much research upfront to avoid blatant insensitivities,” Collins says. When Collins wanted to started a Scout unit in the local Orthodox Jewish community, for example, he knew that the culture avoids any sort of physical contact with women, including shaking hands. “Knowing to honor and respect this when appropriate helps avoid embarrassing or awkward exchanges,” he says. 4. Once you start a unit, it’s not over. Remember, many smaller or underserved markets will not be familiar with the Scouting program. As a commissioner, you will need to educate, recruit leaders and offer extra mentoring. 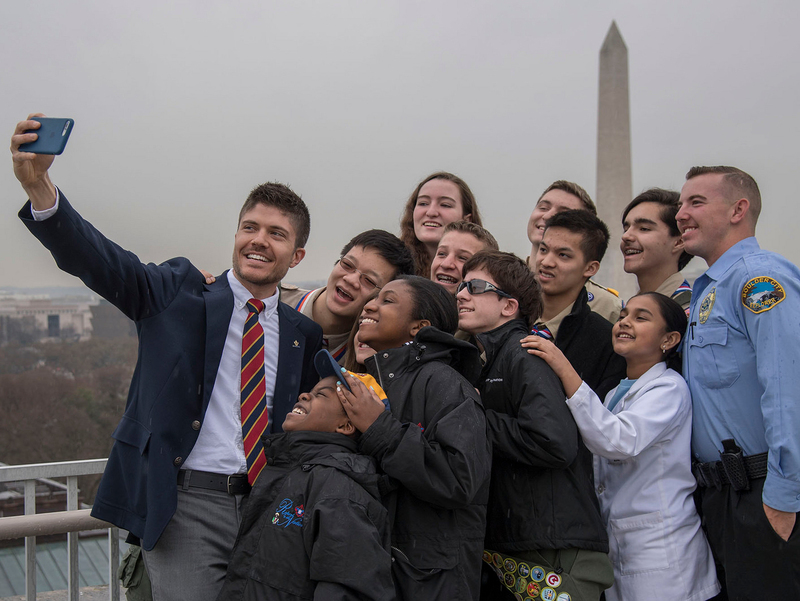 “In some cases, since everyone — Scouts, leaders and parents — are just learning the ropes, you may actually feel like you’re acting more like an assistant Scoutmaster than a commissioner, and that’s OK,” Collins says. 5. Consider pairing the new unit with another unit. The boys and leaders learned from the veteran troop, and the established troop had its eyes opened to a new culture and made new friends. It was a win-win. “Within the context of the mentoring troop, their experienced boys and leaders mentored ours and took much of the pressure off, allowing us time to jell and build our program,” Collins says. Collins is willing to answer questions you might have about this process. Email him at bcproducer (at) aol (dot) com.